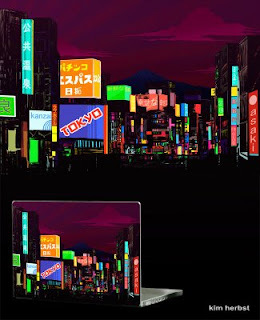 Hey all, I designed a laptop skin for the City Series on Infectious. No one had yet to choose Tokyo, and I figured I'd give it a shot since I'll be out there for the next 4 weeks. Really, who doesn't like Tokyo?! If it wins, it becomes a skin you can have and put on your very own rockin' machine. VOTE for my design here! Much love and appreciation will abound from your votes!